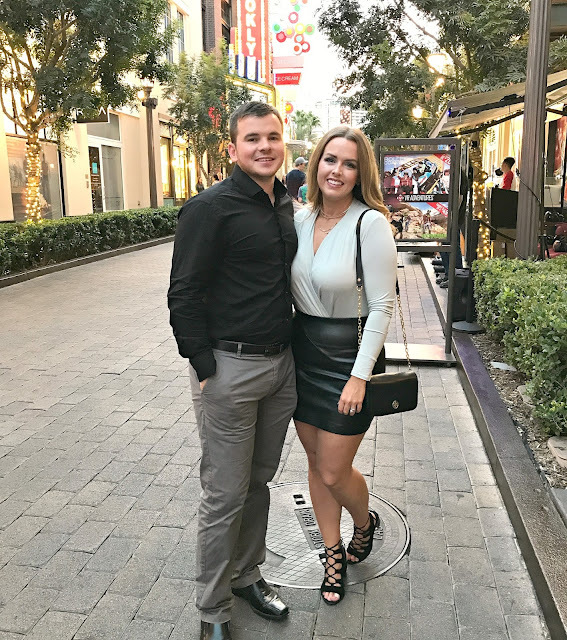 It was only a few days after I shared the first part of our trip to Vegas when I heard the shocking news of the Vegas shooting that happened on October 1st. I remember that morning so plainly. My alarm clock went off around 6:30 and I did about a half hour of snoozing before I reached over and grabbed my phone to scroll through Instagram to wake myself up like I normally do every morning before getting out of bed. The very first post I saw said "Pray for Vegas", and I knew right then and there that something had happened. I immediately typed Vegas into google and I couldn't believe what it was that I was reading. I spent the next few days watching and reading every news article trying to make some sense over what just happened but it never came. And it still hasn't. I found it hard coming back to this blog right away and writing the second part of our trip and about all of the great times we had during our time in Vegas when so many people were suffering and going through something terrible from that exact same place. It just didn't feel right. Then somehow during that time, the momentum of me blogging regularly again faded and now here we are, 6 months later after my last post. 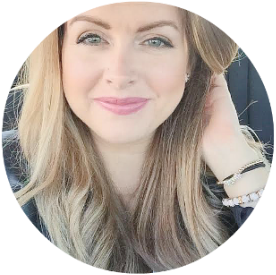 I won't go on much about that now because my blogging motivation is actually back today and I'm determined to get this post done...once and for all! Vegas was, and still is, a place of so many great memories to so many people. And today, I'm excited to share more of that! You can read all about the first part here. 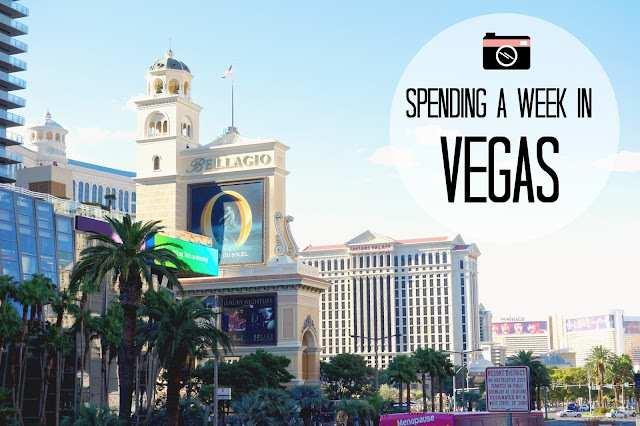 Day 3: Breakfast at the MGM Buffett, dinner at the Yard House, Jennifer Lopez show, drinks at the Whiskey Down, late night snack at Wolfgank Puck Bar & Grill. Since we had a pretty hard and late night the night before, we were also pretty late waking up and starting our third day in Vegas. And what better way to start a day after one of those nights than by hitting a breakfast buffet. While the three of us were eating plate after plate, Todd just sat at the table with his sunglasses on hunched over the entire time. Needless to say, the oxygen bar from the night before did not help his hangover. In fact, the lady at a table behind us told us he looked like he belonged in the Hangover movie. We were all still feeling a little tired so it was actually back to bed for all of us for the remainder of the day. With only a few days in, it was already nice to just have a complete lazy day and do absolutely nothing! Ha! I guess that's what happens when you try and keep up with Vegas! 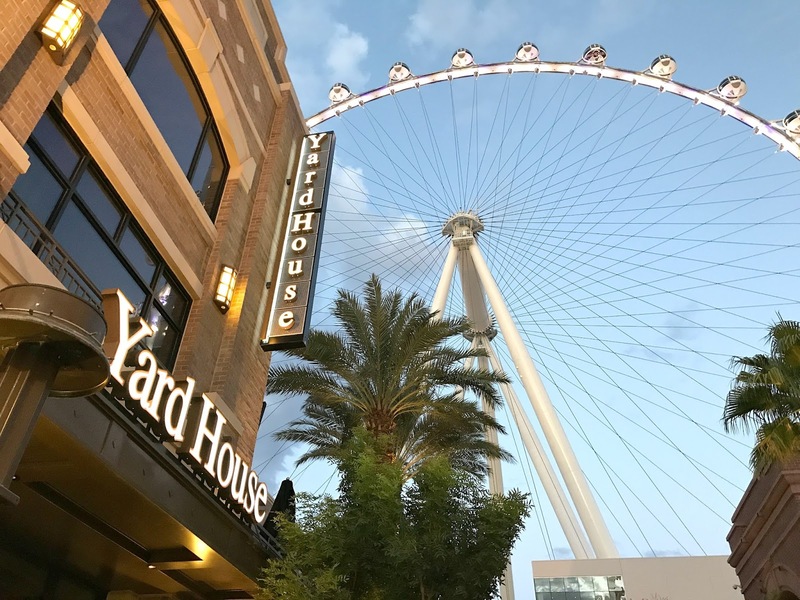 We started the night off with dinner at the Yard House (located right next to the high roller). This was one of my favourite restaurants that we went to, and from the wait time to get in, it seemed to be everyone else's too. It had a great casual atmosphere, good food, and an unlimited variety of beers. We were then off to see Jennifer Lopez at Planet Hollywood. I was really looking forward to this show, but it honestly turned out to be even better than I thought it was going to. She was amazing to watch, and with such great seats to see her closeup, I was in complete awe of her the entire time. 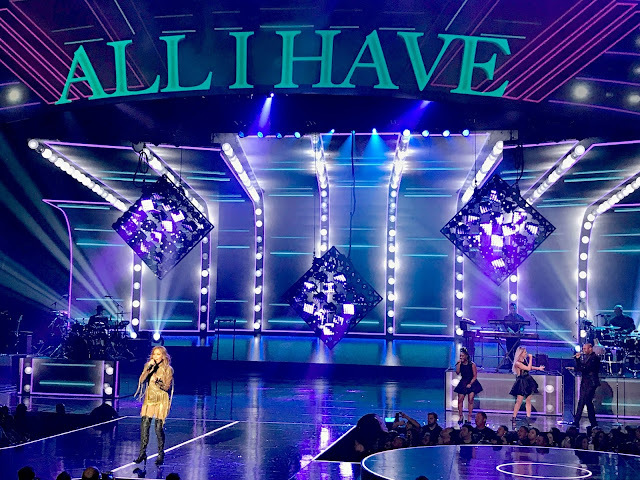 It was so fun seeing her perform her most popular songs (and of course, sing along to them)! I left that night with such a girl crush on her!!! We ended the night back at the MGM. Actually, it seemed like we ended the majority of our nights here. Having drinks at the Whiskey Down and getting pizza at the Wolfgang Puck Bar & Grill turned into our little bedtime routine. Vacation time at it's finest, people!! 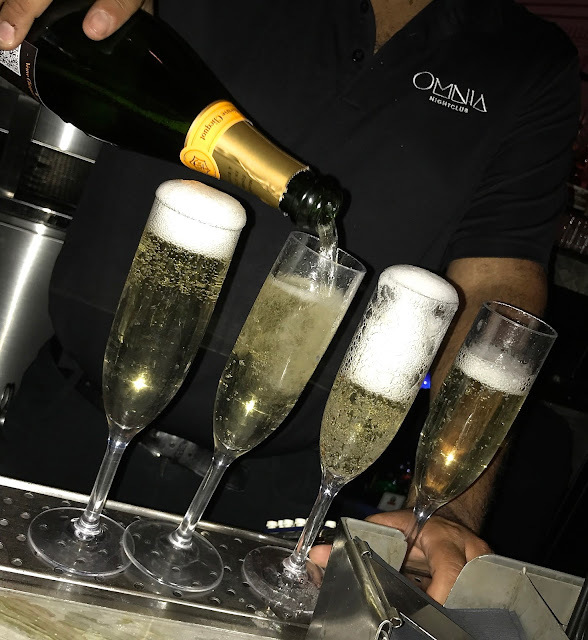 Day 4: Breakfast at The Egg & I, cabana pool time, dinner at Olives, O Cirque du Soleil show. This day we decided to venture outside of our hotel and try somewhere new for breakfast. After reading good reviews online, we ended up at The Egg & I; a casual breakfast place that had the biggest breakfast menu I had ever seen (with prices much lower than ones at our hotel). I'm not sure about everything else there, but what I ordered was super, super yummy, and big enough to feed an entire family. We left in the biggest food coma and headed directly back to our hotel to enjoy a pool day. MGM's pool area was definitely impressive. It's a beautiful area with multiple pools and cabanas, as well as a huge lazy river....my favourite! Sit me in a tube in a lazy river with a drink in hand and I'm good for the entire day. We actually decided a few days prior that on this day we would splurge a little and rent a cabana for the day. When in Vegas, right?! We reserved ours beforehand since we were told they book up pretty fast, and we opted to do this on a Thursday to save a little money as the prices go up over the weekend. What a day this turned out to be! Somehow a relaxing day at the pool ended with Todd being asleep by 5 o'clock. Gosh that boy will never learn. But as he would say, "it's all about the story", and what a story we had from this day...or should I say bar tab. Since the boys over indulged at the pool earlier, the girls had to go solo for the rest of the night. We went to Olives for dinner, a restaurant at the Bellagio that has an amazing view of the fountain. I don't remember loving the food there (it was good, but not quite as good as what I expected), but the restaurant and atmosphere was beautiful, and it was a great place to enjoy a nicer dinner with friends, or should I say friend...singular! We then went to see the Cirque du Soleil show O, which was also in the Bellagio hotel. This show is a must see! It definitely has that "wow" factor, and it was by far our favourite out of the two we had seen. Day 5: Helicopter tour of the Grand Canyon, dinner at Shake Shack, Calvin Harris at Club Omnia. This day started early since we had an early pickup time at our hotel from the Papillion Helicopter Tours. From the moment we booked our trip, this was something we knew we wanted to do so, again, we made sure to book in advance. It took about an hour to get from our hotel to the airport terminal (if my memory is right), and we had to wait a little bit once we got there and watch a safety video, but before we knew it we were putting on our headsets and sitting inside the helicopter (there was 6 of us and our pilot). 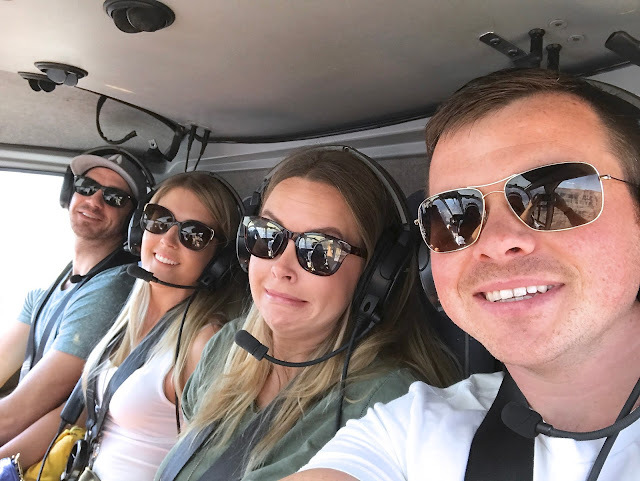 I've never been in a helicopter before so I really had no idea what to expect, but I was so surprised at how nervous I actually was! My hands were sweating the entire ride and I couldn't wait until we'd land in the Grand Canyon. Although my anxiety was in full force, I tried to enjoy the views as much as possible because they were amazing! The Grand Canyon was huge, and to think we only got to see a very, very small portion of it is even more incredible. Thankfully it only took about 45 minutes to land (again, let's hope my memory is right), and then we were given a short amount of time to explore, take some pictures and have a lunch that was provided. The whole experience was great, and I'm so glad we got to do it. I will say that I wish we were given more than a half hour once we were at the Grand Canyon. With all of the travel time, it would have been even more enjoyable if we could have actually got to enjoy being there a little more. I was extremely thankful though that we were given champagne with our lunch because it helped tremendously with the helicopter ride back!! 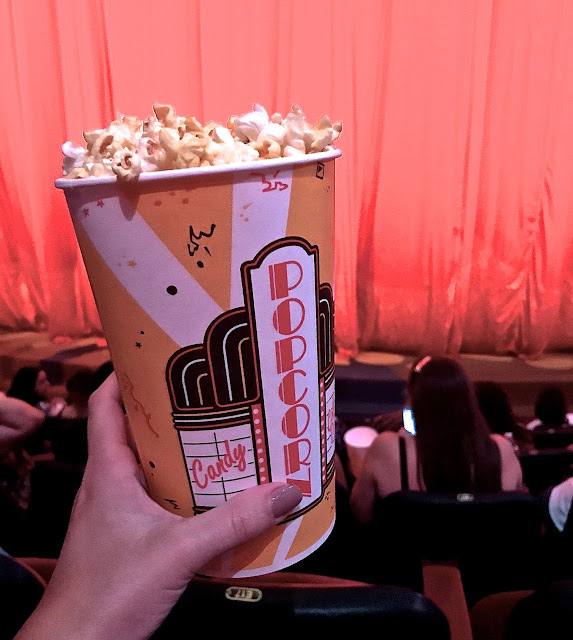 We had tickets to see Calvin Harris at Club Omnia for later that night, so we opted to rest up for the rest of the afternoon before grabbing a quick bite at the Shake Shack. Seeing Calvin Harris turned out to be quite the experience and nothing like we thought it was going to be (and probably not in the good way that you'd expect). While the views from the roof of Omnia were amazing, the club itself was way too packed. It was the craziest thing I have ever experienced. While we did get to see Calvin Harris (in the far distance!! ), we ended up spending the majority of our night on the roof so we could at least move while experiencing the Vegas nightlife from there. But thankfully, those views and seeing the strip from that roof completely made up for the disappointment of the inside. Since it was just so darn convenient, we headed straight downstairs to the buffet in our hotel again. Luckily (and thankfully) this time Todd got to partake in the eating part. We spent the rest of the afternoon just wandering around our hotel and doing a little gambling. Again, when in Vegas! I'm not a big gambler but I do enjoy it when you can have a few of hours of fun without leaving with your pockets emptied too much. Russian roulette somehow became our game of choice. Gosh, we had so much fun playing, even though we probably were the worst players out there. #noclue Although, we were able to win enough to keep our addiction going throughout the rest of the day without leaving with those empty pockets!! In the evening we ubered our way downtown to spend our night on Fremont Street, a street that's brighter and even flashier than the strip. It's definitely another must see thing because I can guarantee you you'll leave seeing and experiencing some very interesting things. Through a recommendation of a friend, we had dinner at the Heart Attack Grill; a hospital setting restaurant that prides itself on serving the most unhealthy food. Hospital gowns, IV's, nurses, you name it, that's what you can expect. While this was, again, interesting to experience, doing it once was definitely enough, and I probably could have done without doing it at all. Not to our surprise, the food wasn't that great, and the concept was both fun....and a little disgusting. We spent the rest of the night walking off our meal and going in and out of some of the oldest casinos in Vegas to do a little more gambling. Day 7: Shopping at the outlet mall, dinner at Cut, Bellagio fountain show, High Roller. Our last day was spent at the North Premium Outlet mall. This was a good outdoor mall with lots of different options and if we hadn't already been in Vegas for 6 days, I most definitely could have spent more money here instead. Then, before we knew it, our last night of the trip was here. While our time in Vegas was busy, I definitely think we could have handled a few more extra days. In fact, unlike many others, we didn't find a week too long at all. And maybe that was because since we did have a full week, we allowed ourselves to relax and take it easy when we wanted to. Giving yourself more time on a vacation definitely gives you that advantage. I'm saying this now, but I keep forgetting that the recuperation time from it after took longer than our actual trip!!! The only thing we had planned for our last night was to enjoy a nice dinner together. And Cut was the place that we had scoped out and reserved beforehand. This restaurant was super pricey (it's a good thing I didn't do much shopping earlier!!! ), but it turned out to be fantastic. Between the atmosphere, the service and the food, it was all amazing. 6 months later and I can still remember their macaroni and cheese....heavenly!! Vegas is definitely a place of fun and entertainment with an endless amount of things to do! It was an amazing trip (with the worst recovery time in the history of trips though). We had amazing weather, great laughs, so many stories and made a lot of wonderful memories. Oh, and I forgot to mention this part. We also got to see and meet some well known people during our stay (I have no idea what to call them...celebrities?, famous people? ), thanks to Todd (I swear he is the best at spotting people!! 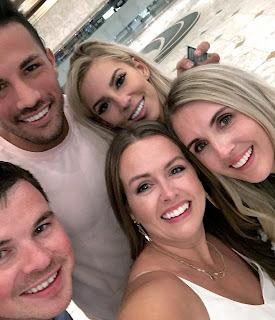 ): Katy Hearn and Haydn Schneider, Alex from Jojo's season of the Bachelorette (or it could have quite possibly been his twin brother...who knows! ), Christian Guzman and Heidi Somers, and Nick Diaz. So that was pretty neat!!! Phew, it's done, the final recap is done! It only took 6 months to finish it, but gosh darnit I did it! I hope you enjoyed seeing how we spent our week!! GRAB A COFFEE, LET'S CHAT!